1924-Robert Gilmore scores the only goal as J&P Coats defeats league leaders Bethlehem Steel 1-0 at Coats Field in Providence. 1946-The Baltimore Americans defeat the Baltimore Soccer Club 3-1 to finish atop the standings in the ASL's Lewis Cup competition, setting up a two-game final with the Brooklyn Hispanos, who played to a scoreless draw with the Brooklyn Wanderers despite two extra periods. 1968-Sele Milosevic scores two goals and Ilia Mitic has a goal and two assists as the Oakland Clippers romp over the Washington Whips 5-0. 1976-Derek Currie scores twice to lead the San Antonio Thunder to a 2-1 win over the St. Louis Stars at Alamo Stadium. 1978-The NASL suspends New York Cosmos defender Bobby Smith for ten days for making an obscene gesture during a televised game. 1981-FIFA informs the North American Soccer League that it must do away with the 35-yard line and conform to international rules. 1992-Richard Chinapoo registers a hat trick to lead the Dallas Sidekicks to a 6-3 win over the Cleveland Crunch in the opening game of their MISL semifinal series. 1999-After an 0-4 start, Ron Newman steps down as coach of the Kansas City Wizards. 2005-Major League Soccer agrees to grant an expansion team to San Antonio based on three conditions, finding an ownership group, selling 5,000 season tickets and finalizing plans for the construction of a stadium. 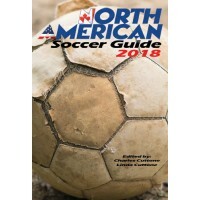 2007-Led by a pair of quick first-half goals from Taylor Twellman, the New England Revolution make short work of Toronto FC in the first-ever match between the two teams, cruising to a 4-0 win at Gillette Stadium. 2007-Greg Howes and Marcelo Fontana score two goals apiece to lead the fourth-seeded Milwaukee Wave to a 13-11 semifinal win over the regular season champion Detroit Ignition in front of 4,818 at U.S. Cellular Arena. 2007-Behind two goals from captain Kristine Lilly and a goal and an assist from Abby Wambach, the USWNT defeats Mexico 5-0 at Gillette Stadium. 2011-The Portland Timbers earn their first MLS win in their first home match at Jeld-Wen Field, 4-2 over the Chicago Fire in front of a rain-drenched sellout crowd of 18,627. 2013-Lori Chalupny scores a 25th minute goal giving the Chicago Red Stars a 1-1 draw with the Seattle Reign in their inaugural National Women's Soccer League game.